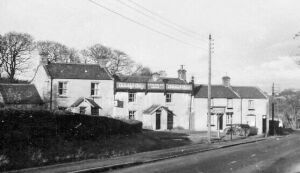 The Towneley Arms, Rowlands Gill's only public house, was opened in 1835 to serve travellers (and their horses) using the new turnpike road between Swalwell Bridge and Shotley Bridge. At that time the pub and the nearby Toll Gate were the only buildings in what is now Rowlands Gill (apart from a couple of farms). In 1865 Rowlands Gill Railway Station opened nearby followed around 1880 by the Lilley Drift (coal mine) - and the village grew rapidly. 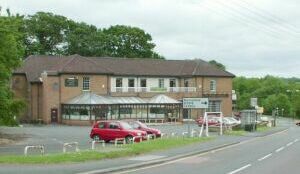 The original Towneley Arms served the village until 1961 when it was demolished and replaced by a much larger building - the new Towneley Arms. The old building lasted some 126 years, but sadly the "new" Towneley Arms was much more short-lived - it closed in May 2000 and has since been demolished.